It’s still tax time! If you finished your taxes already, kudos to you! Also, if you didn’t get to read Part 1 of Tax Questions Answered, click here. I do my parents’ taxes every year and just finished their 2014 filing this weekend. However, I recently realized that even though they always take the standard deduction, I still spend time calculating their itemized charitable contributions- even though that particular type of contribution (charitable) doesn’t factor in on your taxes if you take the standard deduction. Gross Income= What you make in a year, including EVERYTHING, from Jan 1 to Dec 31 (you, of course, probably already know this one). Adjusted Gross Income= Your taxable income after you subtract certain ADJUSTMENTS but before you subtract either the Standard Deduction or your Itemized Deductions (you can only subtract one or the other of those two types of deductions)). 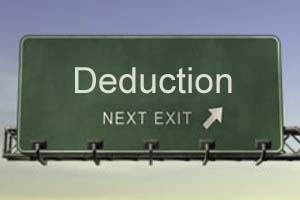 Itemized Deduction (not the standard deduction kind)= These are deductions you can take if you decide NOT to take the standard deduction. These include but aren’t limited to: medical and dental expenses that exceed 7.5% of your AGI (Adjusted Gross Income), property taxes, your state and local income or sales taxes, charitable donations you make, work related travel, union dues. So if you’re trying to decide whether to take the standard deduction or itemize your deductions, you want to basically choose whichever one is larger. I’ll stop here for now, but hope this was somewhat helpful! Next time, I’ll talk about Adjustments and Credits, and how they can reduce your tax bill even further! As always, please let me know if you have any questions or anything to add. Thanks!